We are an award-winning independent children’s publishing company that creates and publishes children’s books for sale in the UK and around the world. We are known for the things that we know best: foreign language learning and creative, hands-on non-fiction for kids. 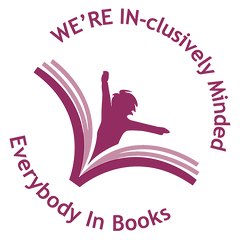 As committed members of Inclusive Minds, we are working hard to ensure our business and our books are as inclusive and diverse as possible. At the heart of our business is the dynamic duo, Cath and Sam (see illustration above)! Along with a group of talented freelance writers, illustrators and designers, we love nothing more than cutting, sticking and colouring our way through the day. We are on a mission to inspire children to make things with their hands and discover the world around them. Whether on their own or together with their favourite adults (parent, grandparent, teacher, carer or friend! ), kids will love our curious texts and beautiful illustrations.